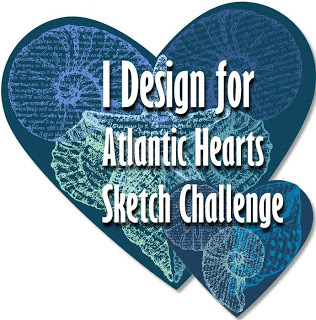 With that said I am so excited to be posting!! 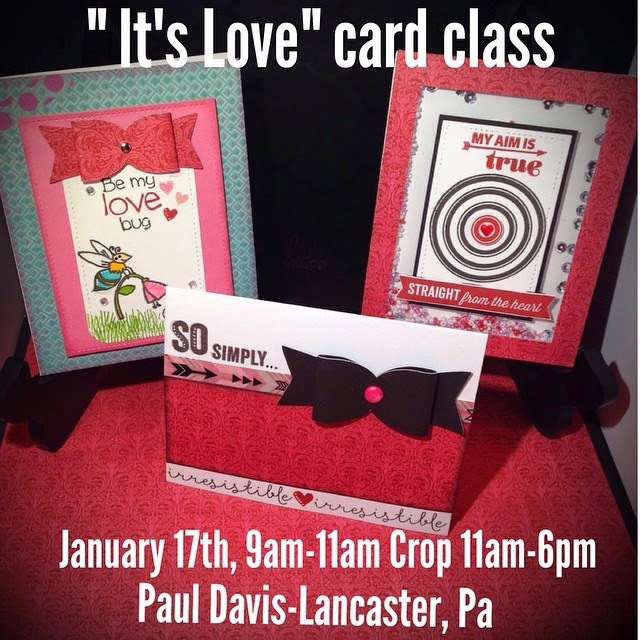 Here are some "LOVE" inspired cards I made for my card class which will be held January 17th in Lancaster, Pa. If you are in the area and interested let me know!! 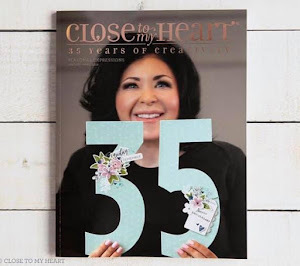 You can't go wrong with the new CTMH Heartstring paper featured in the Seasonal Expressions Idea Book. 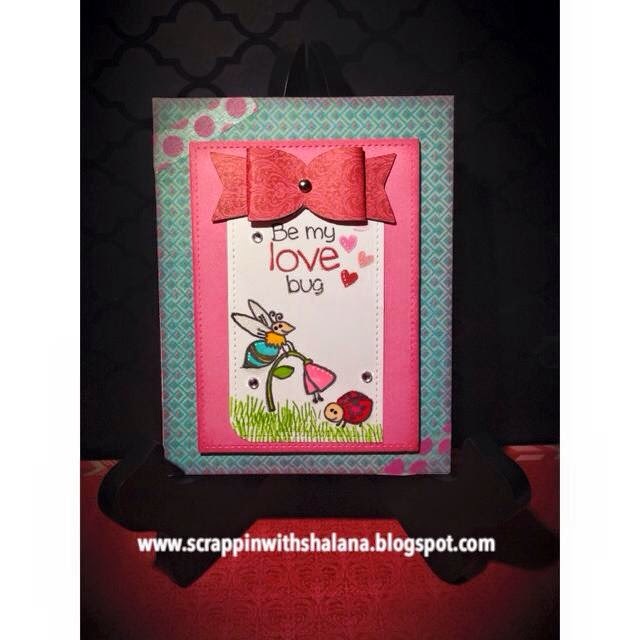 Add some Buggy Love stamp set to the card and be a love bug! The bow was cut from the Artiste cricut cart. The coloring was done with the Shinhan markers. I added some Pink Polka Dot washi to top it off along with Bitty Sparkles and glitter on the bugs wing. The inks used were Black, Cranberry, Topiary and Pear. This card is simple but very cute!! 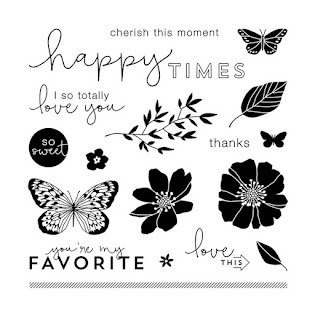 I used the "You're The Bomb" stamp set along with the Heartstrings paper. The bow is again cut from the Artiste cart. I used the zip strip from the paper and added the Black Arrow washi on top of the zip strip. The inks used were Black and Cranberry. 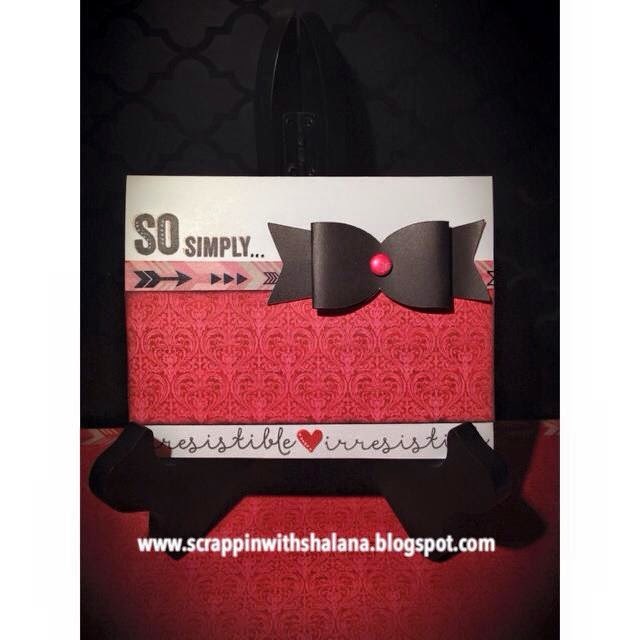 This shaker card was inspired by Nichol Miagouirk's tutorial on her blog. I used CTMH Heartstrings paper paired with the CTMH January SOTM (Coming soon :-) I cut the frame using Simons Says Rectangle Die. I added Simons Says beads and some sequence I had to complete the shaker. I popped up the sentiment and inside bull eyes circle. I added a CTMH Red Enamel Heart to the center. The inks used were Black and Cranberry. I hope you enjoy this cards! Thank you for stopping by and being patience while I was MIA!! 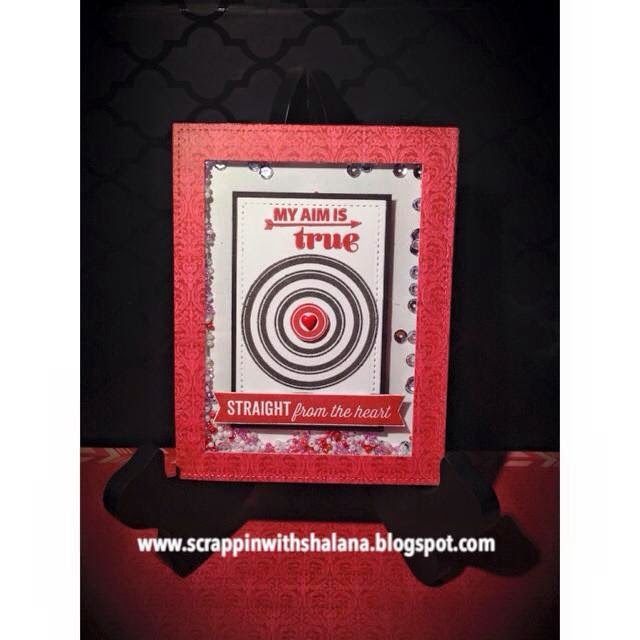 Happy Crafting and SHOP with ME ----> HERE.